Regardless of the environment in which you run SAS (whether it is SAS® Foundation, SAS® Studio, or SAS® Enterprise Guide®), SAS uses a default location on your host system as a working directory. When you do not specify the use of a different directory within your code, the default location is where SAS stores output. Beginning with SAS® 9.4 TS1M4, you can use a new DATA step function, DLGCDIR, to change the location for your working directory. You can use this function in Microsoft Windows or UNIX/Linux environments. Make sure that any directory that you specify with the DLGCDIR function is an existing directory that you have Write or Update access to. The DLGCDIR function temporarily changes the working directory for the current SAS or client session. However, you can create an autoexec file that contains the DATA step code that uses the DLGCDIR function. The autoexec file then executes the code each time you invoke SAS. 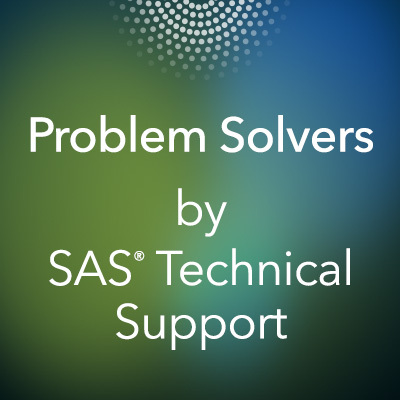 How to change your working directory for SAS® with the DLGCDIR DATA step function was published on SAS Users.